Nicholas LaVoie, 2, has a blast learning and playing at our weekly Parent/Child Developmental Music Class. 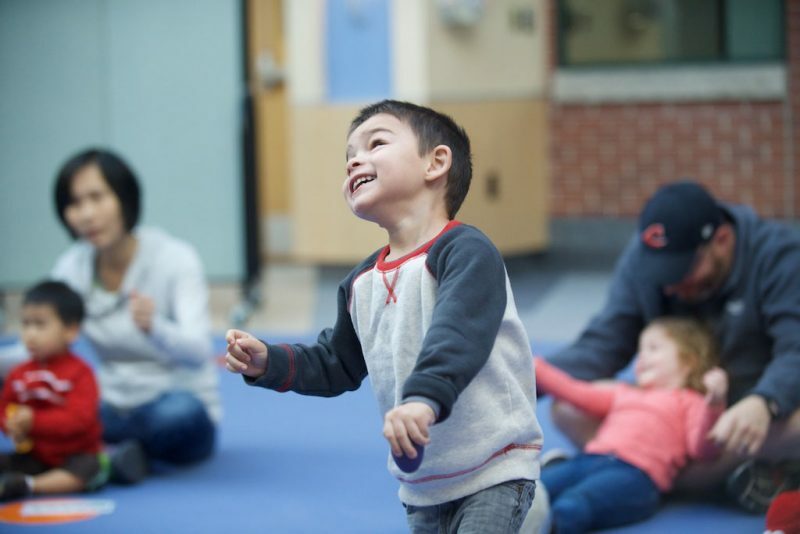 Two-year-old Nicholas LaVoie doesn’t realize that the music he loves to dance to with his new friends is helping him develop both the right and left sides of his brain. His mom, Tina, knows exposing kids to music can help them reach their milestones and was happy to have an opportunity for her son to mingle with 7 other toddlers during the Parent/Child Developmental Music Class, conducted weekly by music therapist Janice Pylinski, in the Emily Cooper Welty Expressive Therapy Center. All classes include music and activities to target developmental goals through instrument exploration, movement and singable songs. 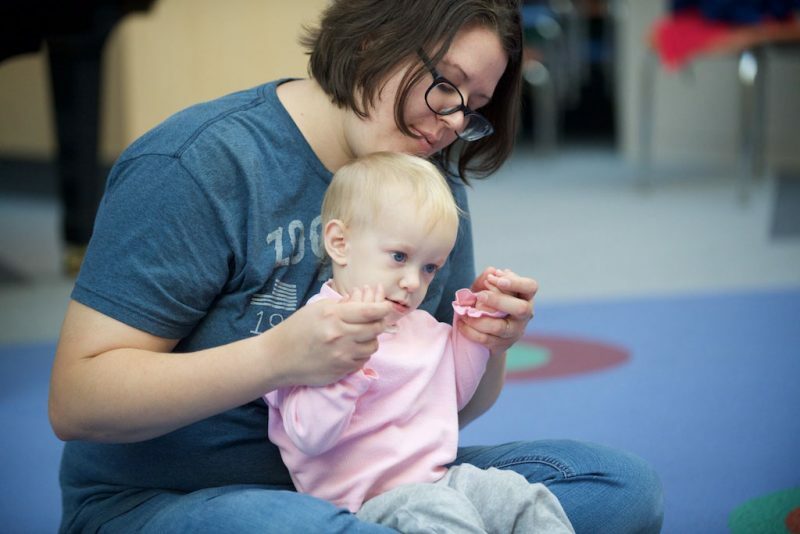 The 10-week session is offered to both typical toddlers and those with special needs who are 19-36 months. Another session caters to babies who are 6-18 months. 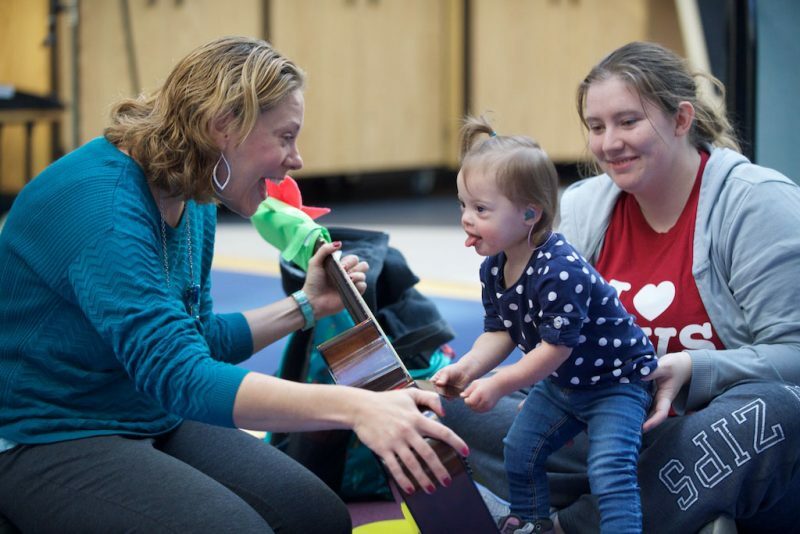 With the encouragement of her mom Brittany, 2-year-old Audrey strums on a guitar held by music therapist Janice Pylinski. Brittany Duvall’s 2-year-old daughter, Audrey, has Down syndrome and wears hearing aids due to conductive hearing loss in both ears. 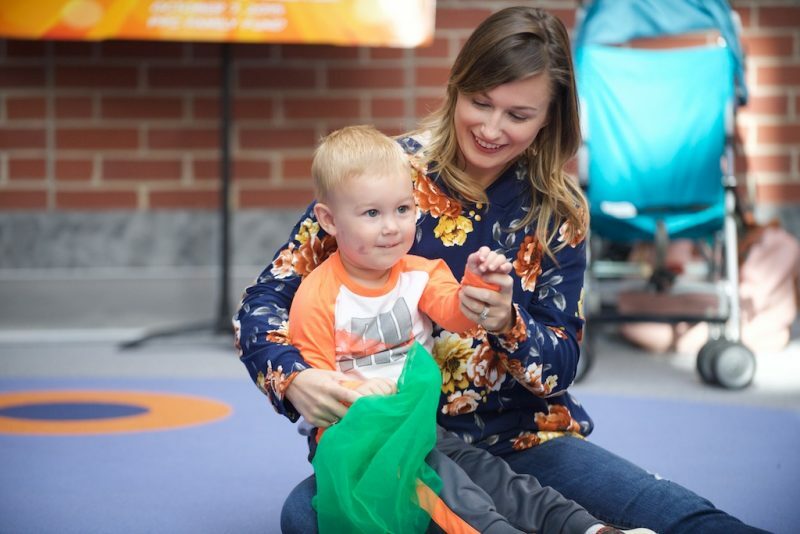 Akron Children’s Hospital audiologist Kathryn Freeland suggested the class at a recent appointment. Audrey is all ears and very focused in class. 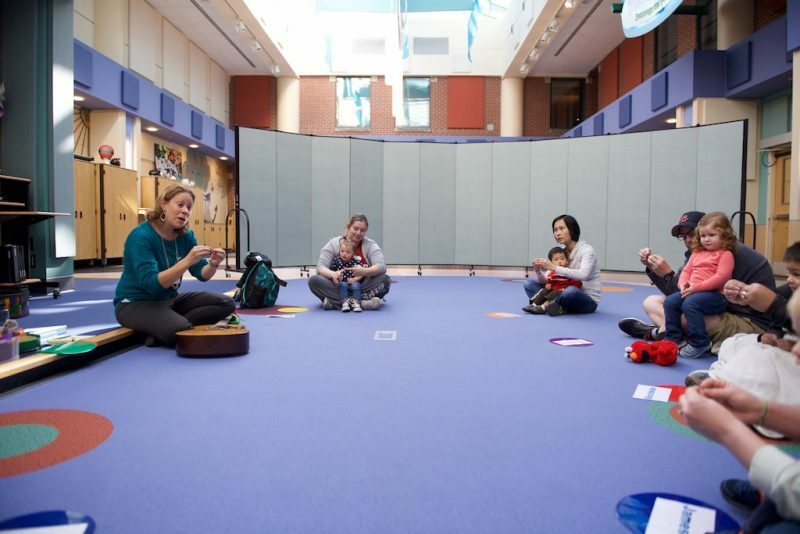 The classes are free thanks to a grant from Sam’s Fans, a nonprofit organization in Columbus that provides music and art therapy to hospitalized children. Jessica Gamble helps her daughter Elisabeth with hand gestures in class. Jessica Gamble of Akron says her 18-month-old daughter Elisabeth enjoys the sessions. For more information about the Parent/Child Developmental Music Classes, please contact 330-543-4909. Nathaniel, 8 months old, with his mom Jennifer Miller.